Join us on the first Monday of every month for our public programs! Join us for our monthly field trips! All are welcome! Report your feeder Surveys Observations Online! Two ways to stay in touch and be on our mailing list! our members and friends about meetings and walks. Click on the sign up form to be added to our list. 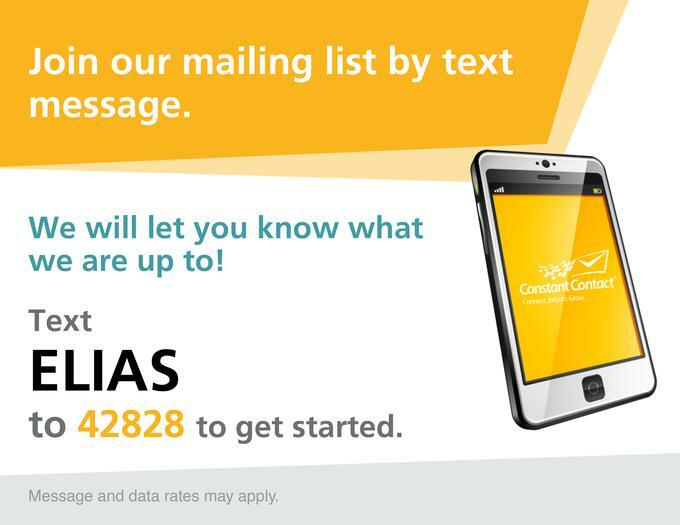 Or text ELIAS to 42828 to get started. PROGRAMS ARE OPEN TO ALL AND ARE FREE. This is a fairly new State Park that has trails going down to Long Island Sound. We will follow the trails and see where they lead. 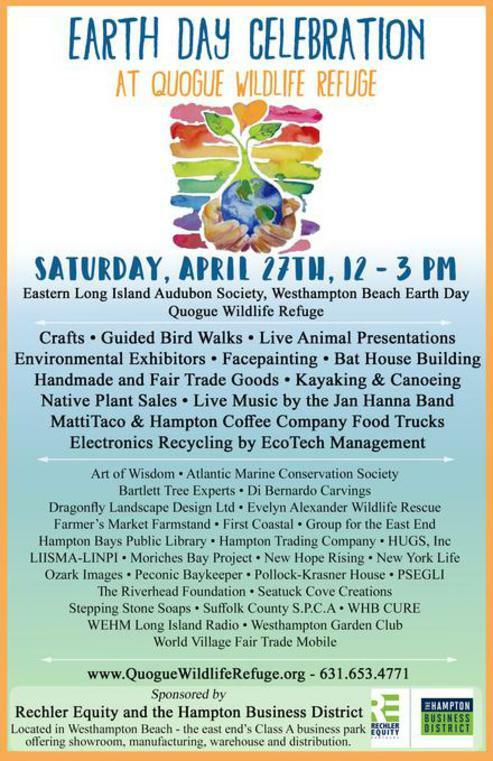 The park address is 6062 Sound Avenue in Riverhead. It is just east of the Hallockville Museum Farm. A great day for all ages! 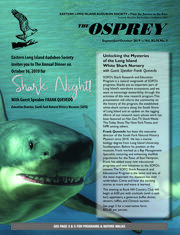 Meetings are held at the Quogue Wildlife Refuge, 3 Old Country Road, Quogue, NY. 11959. Everyone is welcome, there is no charge. All memberships run from January to January. Dues are $20.00 per year. 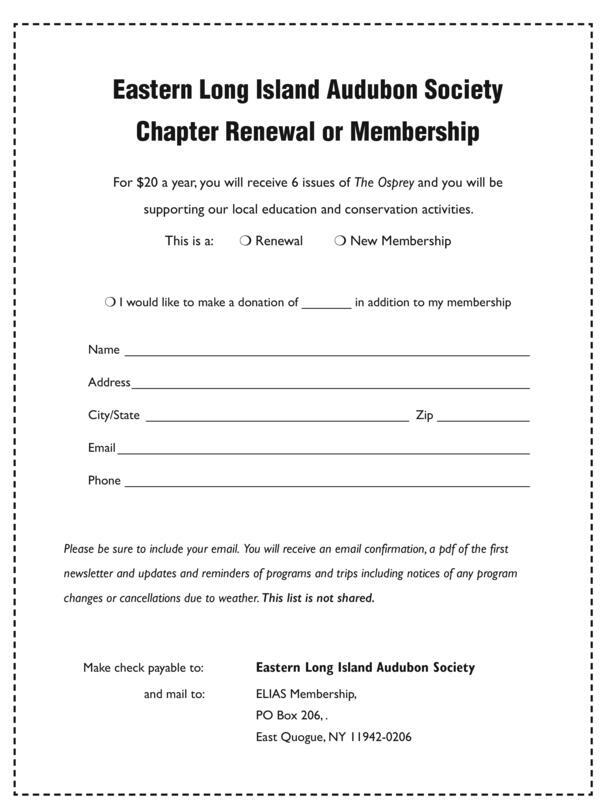 Send your membership dues to Eastern Long Island Audubon Society, PO Box 206, East Quogue, NY 11942. Print the For your convenience you can print a membership form. If you include your email you will be added to our Constant Contact email notification list and you will receive notices about upcoming events a few days before the event or changes to programs if the weather or other circumstances come up. If you have a suggestion for a program please contact Suzi Stewart at suzizny@aol.com or Bob Adamo at radamo4691@gmail.com. The Osprey below to link to the latest issue.